One of the more common tasks you will encounter in moving a system or user database from one physical location to another location. For example, Microsoft recommends that we place our backups, data files, transaction logs and tempdb files on four separate drives. However, the installer by default will place the system databases (Master, Model and MSDB) on the C drive. Even though the rest of the install will allow you to place them on other drives, to even include the tempdb. This will cause some performance issues for you if you leave them there. This article will walk you through the process of making those changes. To move the master database, please follow these steps. 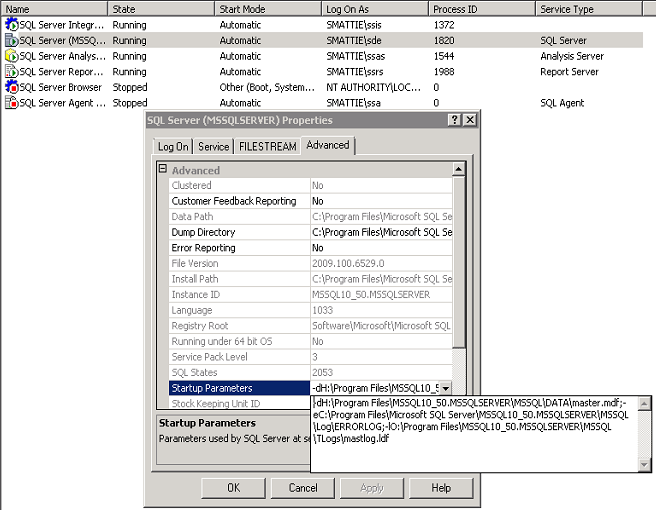 From the Start menu, point to All Programs, point to Microsoft SQL Server 2008R2, point to Configuration Tools, and then click SQL Server Configuration Manager. 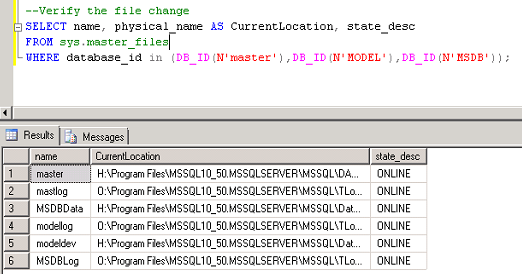 In the SQL Server Services node, right-click the instance of SQL Server (for example, SQL Server (MSSQLSERVER)) and choose Properties. 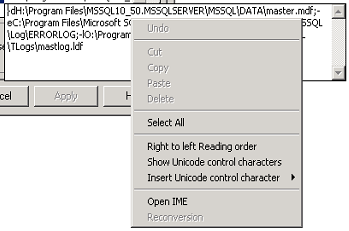 NOTE: You can also use “Execc SP_HelpDB ‘<DBNAME>’ for these details. As you can see I placed a lot of files on my E drive, which I normally use for my backup drive. I need to fix that to align myself with best practices and also better performance. ← Cannot connect to WMI provider. You do not have permission or the server is unreachable.